Cub Scouts is a great program for children to be a part of. They learn, they explore, they mature, all without putting them in a “classroom” style environment to “teach” them. A good den leader makes the meetings fun, so the scouts want to come back each week. But you didn’t recruit those kids. You didn’t take any money from those kids for dues. Those kids never signed up to be in your pack. So how did they get there? And why do they want to come back each week? Those kids got there because their parents felt that Cub Scouts was a good program for their child. You actually recruited the parents, took money from the parents, and the parents completed the paperwork for their child to join your pack. This is an important distinction. It’s important to get children excited about joining Cub Scouts, but you cannot do that while ignoring their parents. If you ignore the parents you are minimizing your recruiting capability. An old analogy fits here: selling dog food. 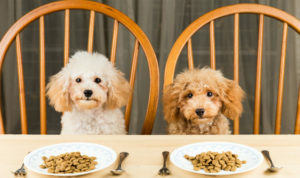 Dog food is sold to people, not dogs. The cans or bags of dog food need to look good to catch a human’s eye. The advertising needs to convince a dog owner to spend their money on Brand X instead of Brand Y. The actual taste and quality of the dog food is mostly irrelevant to the person buying it, they rely on what they’re told instead of trying it. Cub Scouts is very similar to dog food: you need to “sell” it to parents, but they are not the ones who are participating. You need to convince parents why they need to spend their money on Scouting in addition to (or possibly instead of) baseball, soccer, or martial arts. You need to let them know the lifelong benefits of Scouting. You need parents to be convinced that Cub Scouts is good for their son or daughter, even if they were never a Cub Scout. This all boils down to one thing: You don’t recruit children into Cub Scouts, you recruit parents to put their kids in Cub Scouts. We all know that child who got super-excited when they heard about Cub Scouts and went home and convinced their parents to sign them up. But that child is the exception, not the norm. Sure, children like Cub Scouts. But I can tell you from experience that a 6 year-old likes just about anything you put in front of them. It can be Legos, Pokemon cards, dolls, or sports, and most young kids will like them all. Add Cub Scouts to the mix, and it’s one more thing they like. But they won’t like it for long if it’s not fun. If you’ve ever owned a dog, you might have spent some extra money to buy that “fancy” dog food, but she didn’t eat it. The commercials sold you on the value of spending your money, but you never asked your dog. The same thing happens with scouts. Sometimes they are excited to join Cub Scouts, but the excitement wears off and they no longer like it for some reason. Maybe they don’t like wearing the uniform. Maybe they don’t like the activities. Maybe they don’t like their den leader. The parent, realizing their investment in Cub Scouts, will likely encourage their child to try it a little longer, much like you might hope your dog changes her mind and starts liking her food. But if the child is not enjoying Cub Scouts, the parents will eventually pull them out and put them in another activity, just like you will eventually buy another food for your dog. Please don’t miss the overall point here. You want children to sign up for Cub Scouts, but you have to sell it to their parents. But for the children to stay in your pack, you have to engage them and keep them interested. By understanding this, you will better understand who you are recruiting, and how to make your recruiting efforts more successful. Make sure the parents understand the value, but also make sure the children want to stay in Cub Scouts.